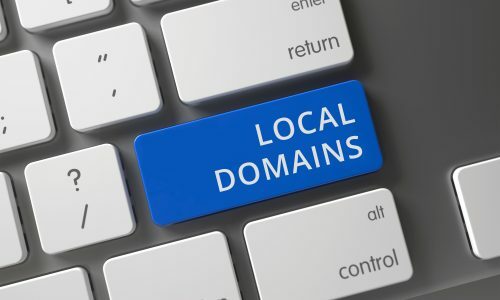 The power of local domains: what can a local domain do for you? Your domain extension can actually have an impact on the types of searches your website appears for, can bring you a higher return on your online investments and improve your standing with your local audience. Have you ever noticed that, when you search from Australia, the search engine generally filters out websites from other continents, like the UK and Europe? This is because these websites are deemed less relevant to the search, based on their domain extension. With a local domain your site is prioritised to local customers looking for you. TLDs, or Top-Level Domains, are the most common domain extensions. They are denoted with a single dot: .com, .net, .org and so on. ccTLDs, or Country Code Top-Level Domains, are the next layer down and provide an extra element of detail. ccTLDs include a country code, so it gives searchers and search engines an indication of the location of the business, products or services. ccTLDs can be denoted as .com.au, .co.uk, .fr, .de and so on. These are local to the country, but there’s now a more distilled domain extension that provides even more specific information to search engines and visitors alike. New gTLDs, or Generic Top-Level Domains, have arrived and now you can filter down your audience even further. If your business is based in or runs from a particular city, now you can register a city-based domain extension. Currently, there are only 39 cities worldwide that have their own gTLD and Australia has two; .melbourne and .sydney. Hypothetically, Melbourne IT could purchase the domain extension melbourneit.melbourne (what a mouthful!) or a Sydney based company could purchase a .sydney domain extension to whittle down their immediate viewership. While your domain name doesn’t have much pull when it comes to SEO, your domain extension can. Your domain extension actually plays a role in telling search engines where your content will be most relevant. If you have a basic TLD, like .com, you will be considered in searches globally. This is great for businesses who have a worldwide audience. This means the pool of competitors for relevant keywords is larger, so your business has lower odds of getting to the top of the search engine results page. A small or medium national business can afford to use something more local. The next stage of targeting is, indeed, at a national level. You can increase your chances of being found by Australians by using a .com.au domain extension, reach French audiences with a .fr domain extension or say “Hullo” to our neighbours in New Zealand with a .co.nz domain extension. In this day and age, people are highly conscious of the cultural and societal impact their purchase decisions have, not just on the environment but also on the economy. With a local domain, you can instil a sense of satisfaction in your customers that they are investing in a local business. This can do wonders for your brand image and, with a nod to the classic ‘Australian owned and run’ catchphrase in your content, you can have local consumers eating out of the palm of your hand. The most popular domain extensions are classic TLDs, like .com, and gTLDs, like .com.au. These domains are snapped up quite quickly, leaving businesses who miss the boat strapped for domain options. If the domain name you’re after has already been registered, you can capitalise on a local domain extension to maintain the integrity of your brand name. Just as a local domain name can help your SEO efforts, it can also benefit when it comes to pay-per-click advertising. Pay-per-click is a digital marketing module that only charges advertisers in direct relation to the number of times your ad has reached your target audience. How much you pay per ‘impression’ on your audience is determined by the relevance and value of your ads to the consumer it reaches. This metric is called a Quality Score. A local domain can improve your Quality Score and increase your ROI (return on investment). Domains ending in .melbourne or .sydney have not yet hit their peak. In comparison to the standard .com extension, they are relatively rare. This means that there is still a novelty attached as people have not yet become desensitised to the New gTLD. Your business can capitalise on this through customer recall as the domain name is more striking and, therefore, more memorable. If your business operates locally and you want an extra boost when it comes to reaching the right audience, try a local domain extension. With the above benefits, you can shoot past your competition and achieve great marketing results while increasing your return on investment. Register your domain today or speak to an Online Solutions Advisor for more information.